This autumn Ma Polaine’s Great Decline release a new single and accompanying video The Poison Sits. This is a remixed ‘single version’ of the song which features on the band’s latest record “The Outsider”. 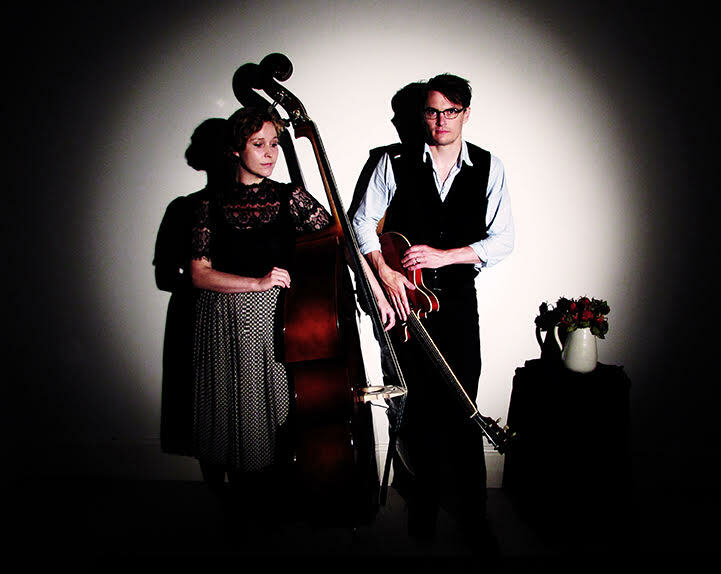 From the start Beth Packer and Clinton Hough always sought to keep their song-writing influences open, and have a sound with oddness, sparsity and a subtle quality that is their own, and this song is perhaps the best example of this. The Poison Sits is of love’s ability to engulf, a stark blues first written in early 2011 and has become a signature song for the band. The album version of The Poison Sits has had wide-spread radio play, including Tom Robinson’s BBC 6 show, Verity Sharp’s Late Junction on BBC Radio 3 and was included in fRoots magazine download, alongside a feature on the band. The duo have been tightening their unique sound whilst remaining decidedly easy and loose with the range of influences they draw from. Blues, jazz and country feature strongly, but what this duo admire most in others is individuality, artists who have been unafraid to be themselves musically and in attitude. Billie Holiday, Tom Waits, Nina Simone, Hurray for the Riff Raff, Gillian Welch and Nick Cave are just a few examples. This year came the release of a new album, The Outsider which has had widespread radio play and fantastic reviews. 2016’s EP release Small Town Talk gained rave media reviews, building on 2015’s nomination as an emerging artist in the British Blues Awards for the album “Got Me Out Of Hell”, also winning a Reveal Records emerging act competition, and earning an international song-writing semi-final spot for Suffer It Well from 2013 EP of the same name. Throughout this year Ma Polaine’s Great Decline toured the country, taking in the finest of intimate venues and enjoyed a busy festival season at the likes of Green Man and Purbeck Valley Folk Festival. Fatea Magazine: “…a record of profound maturity”…” Beth has a voice of rare beauty; dynamic, vibrant, sultry and, at times, pulsating”…” The Outing is an album to be relished, the aural delights proffered are plentiful and compelling, with a mark of individuality that is refreshing. Roots Music Report: “one compelling and unique musical presence”. Liverpool Sound and Vision: “The Outsider is a series of continuing brilliance to which cannot be contained or pigeon holed”. Blues in Britain: “haunting and compelling”. Blues Matters: “it is Beth with her stark and crystal clear vocals that underpins this sound”.